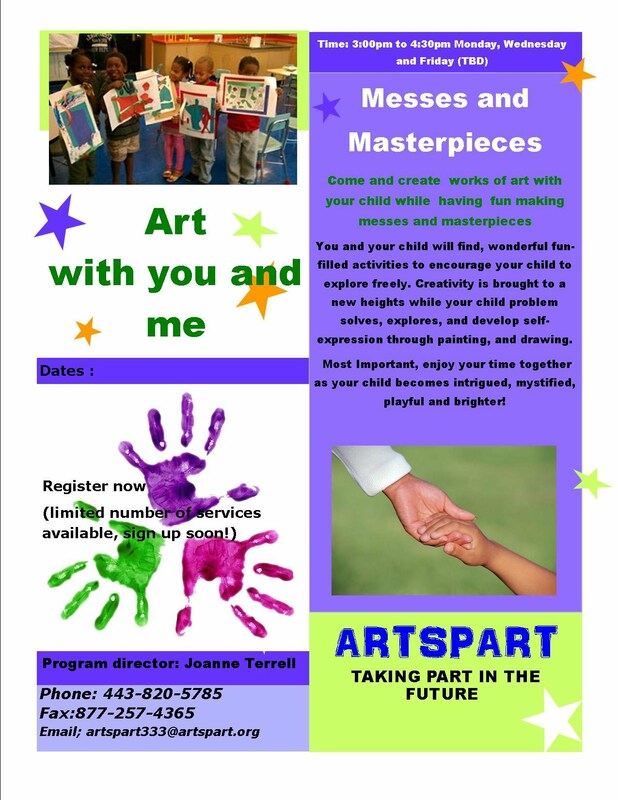 Artspart seeks to fund an innovative after school Visual, Music and Theater arts program for at-risk-youth in grades K-12. The program will serve children and teenagers of Baltimore City and County schools or community centers annually,teaching low-income youth to take advantage of the educational, economic tools and opportunities presented within the arts. Remember, it takes people like you to make a difference in the lives of young people.